Urban environments continue to be transformed by economic growth and technological advancement. The advent of online retail has led to a massive increase in deliveries in cities all over the world. In city centers, this positive development has also had negative consequences. The uptick in delivery activity has led to traffic, noise pollution, lowered air quality and strained local infrastructure. Therefore, cities are looking for ways to enhance the efficiency of deliveries, reducing the number of goods vehicles in urban centers in a way that maintains all the benefits of the new economy while reducing negative effects and minimizing financial impact. Jamie Cudden is the Smart City Program Manager at Dublin City Council. Recently, Jamie was tasked with finding solutions to Dublin’s last mile delivery challenges. 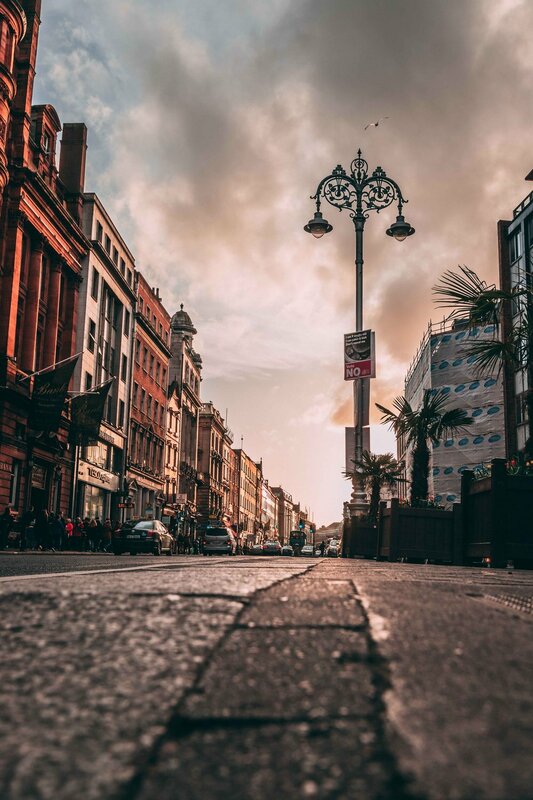 Dublin and Belfast City Councils were looking for ways to enhance the efficiency and effectiveness of deliveries, reducing the number of goods vehicles in their respective urban centers. This, in turn, would improve air quality, noise pollution and road safety. This needed to be achieved in a way that minimized the financial impact to business in both cities. Jamie used Citymart to find urban innovators to provide workable solutions to meet the challenge. In order to best support his project, Jamie and his team worked with Enterprise Ireland’s Small Business Innovation Research (SBIR) mechanism, which helps Irish public-sector bodies connect with innovative ideas and businesses. Jamie and SBIR used Citymart BidSpark in order to source innovative solutions from a diverse group of vendors. To see how Jamie achieved this, check out Smart Dublin’s last-mile delivery page, the press release announcing Jamie’s project, the resulting RFP, and our own BidSpark Final Report. The problems that confront cities in the twenty-first century are complex and multifaceted. They’re difficult to solve, but there’s also multiple ways to solve each one. Scroll down to see some of the most promising approaches we’ve identified addressing last-mile delivery, as well as examples of some companies that might be up to the task. Software solutions utilizing big data, information from IoT sensors, and modern data analysis techniques can go a long way toward improving traffic flows and optimizing delivery routes. This approach offers the advantage of not requiring major infrastructural changes: logistics software can be deployed at the push of a button. Maplink provides APIs and dashboards to help retailers optimize logistics, easily integrating with existing structures to allow for optimal customizability. MileZero digitizes the logistics supply chain, allowing retailers to optimize retail networks and delivery fleets. Mojro is a one-stop software shop for urban logistics solutions, offering planning and resource management solutions that can introduce greater operational efficiencies in the last-mile delivery landscape. Citymart BidSpark matched 412 companies for this approach. In addition to new energy, cost and labor efficiencies, autonomous delivery can reduce congestion by introducing new types of delivery vehicle: smaller, speedier, and customized to the needs of a crowded city center. Autonomous delivery vehicles can pick up from multiple vendors and drop off orders along a route optimized to reduce congestion. Nuro makes a self-driving vehicle designed specifically for local goods transportation. With a focus on safety, this solution could be optimal for a crowded urban center. Kiwi Campus offers a suite of autonomous delivery solutions that the company says are faster than couriers, with high service ratings and the ability to track and optimize deliveries. Ridecell is developing an end-to-end autonomous mobility solution for which last mile delivery is a great use case, but which could be expanded to address other, related urban mobility issues. Citymart BidSpark matched 303 companies for this approach. On-demand delivery services leverage new technology to optimize the delivery routes of part-time delivery people on new or existing routes, reducing excess travel and positively impacting congestion. Lalamove has developed a mobile app that lets users request a delivery at the click of a button. Companies can use the company’s fleet of trained drivers instead of having to build their own from scratch. Skipcart is an on-demand delivery service for grocery and retail. Skipcart also provides its own drivers, and offers an API that lets business customers route orders through their own websites. Grab uses a fleet of cyclists to pick up and deliver goods within a preset radius, as well as tech-enabled doorstep authentication for product returns and expanded logistics services for transportation outside the bicycle delivery radius. Citymart BidSpark matched 287 companies for this approach. Expanding the use of electric cargo bikes—not just to delivery services but also to commuters and other businesses active in the city center—is a cost-effective, eco-friendly transit solution that addresses sustainability as well as efficiency. 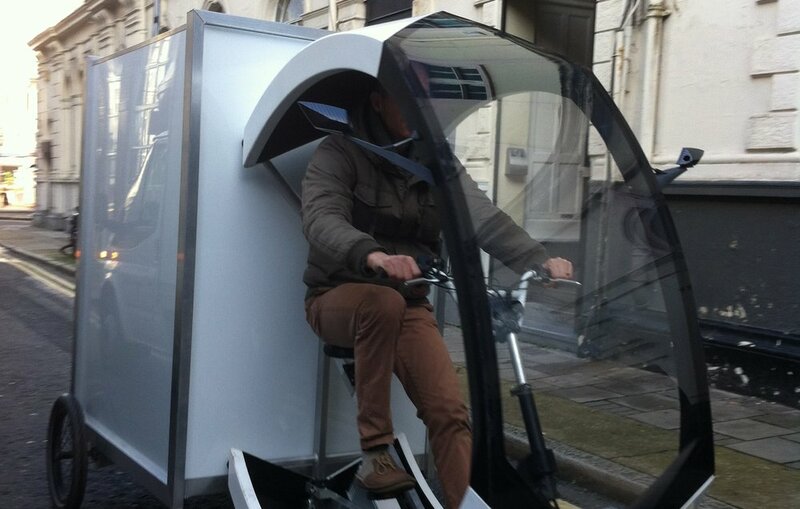 CERO makes compact electric cargo bikes suitable for commuters, as well as delivery services. Yuba provides bikes with large cargo containers perfect for businesses that do a high volume of deliveries in city centers. Yokler has a product perfect for use either as a pedicab or a delivery bike, targeted at small businesses interested in quickly setting up a delivery operation. Citymart BidSpark matched 89 companies for this approach. Advertising-funded: Solutions are free or low-cost for customers, who see advertisements instead of paying the full cost of the product. Business to Consumer (B2C): Customers pay directly for the product, without government financing. Licensing: Governments pay a license fee to software vendors and then deploy customized versions of the licensed product to citizens. Dublin ultimately picked Passel, an Australia-based delivery startup that is now considering moving to Ireland. Marshall Hughes, the founder and CEO of Passel, described how he discovered the opportunity. “I learned about the Dublin procurement via an email from Citymart. I was compelled to explore the procurement because it seemed Passel was a perfect solution to the problem. It was almost as if the challenge had been written for us. It didn't take much convincing to submit a bid. The process was simple and logical and there seemed to be no reason not to participate. Marshall told us that his experience working with Dublin was a positive one, and encourages other young companies to work with government if given the chance. “This was our first experience dealing with a government authority and I have been surprised how energetic and engaged the Dublin people have been. They have taken extra steps to ensure we have been informed as the procurement proceeded. Since being selected, the Dublin people have gone above and beyond to make this as easy as possible and to help us succeed. What can cities do to help vendors succeed? Offer vendors the opportunity to connect with each other in order to jointly develop innovative solutions. Facilitate expansion by introducing vendors to potential customers and promoting solutions internally. Write a clear brief and devote internal resources to ensuring solutions are fully utilized. 90% of vendors reported that Dublin’s approach was a useful path to partnership. Thanks to vendors who provided feedback! Have a contribution to make? Submit your solution for free at vendors.citymart.com and we’ll get in touch with you.